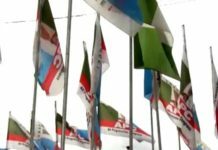 The emergence of a new National Working Committee of the All Progressives Congress (APC) led by Comrade Adams Oshiomhole has rekindled hope for an exciting and democratic contest for the nomination of the party’s candidates for the 2019 general elections in Rivers State and other states of the Federation through the introduction of direct primary mode of electing candidates. With this development frontline governorship aspirants like Senator Magnus Ngei Abe, Adol Dakuku Peterside, Tonye Princewill, Tonye Cole and Dumo Lulu-Briggs can have a level playing field to pursue their aspirations. And the focus must be to ensure how to defeat Governor Nyesom Nwike and his PDP. Comrade Oshiomhole has repeatedly declared that not only would the new NWC instill internal democracy in the party, nomination of candidates in the party will be by direct primaries, where all registered members of the party will be eligible to vote for the party’s candidates and the candidates will test their popularity. This puts paid to previous arrangements where one or a few godfathers handpicked candidates and imposed them on the party, an arbitrary method that in the past denied the party deserved victories because quite often unpopular candidates were picked and presented for election. 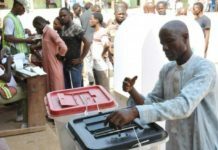 The situation in Rivers State in APC was getting to a feverish pitch before the 2015 general election as the governorship aspirants got set to run for their primaries when, out of the blue, the then Governor of Rivers State and leader of the party in the state, Rotimi Amaechi, handpicked Dakuku Peterside against the popular Magnus Abe to be the governorship candidate of the party. But that was four years ago. APC lost the governorship election to PDP. And it was only through the dint of hard work that the party was able to win some national and state assembly seats in the state after the intervention of election tribunals and rerun elections. The stage is up again and the gladiators are prancing about the arena. Each of the five aspirants mentioned earlier parades intimidating credentials that qualify them to govern Rivers State. But one of them will eventually emerge as the candidate of the party to face Governor Nyesom Wike, who appears to be the unofficial nominee of the ruling PDP in the state. 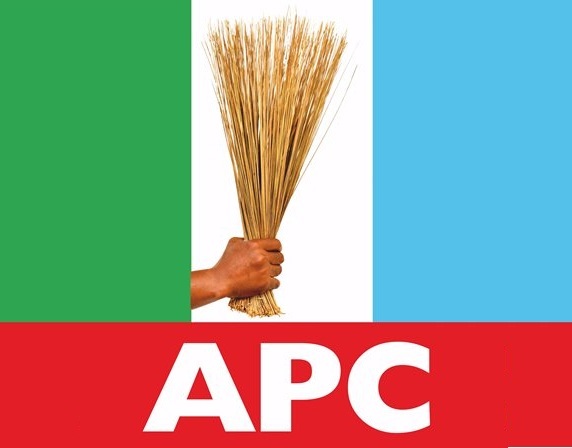 Of the five major APC men that are known to harbour governorship aspirations, it is only Senator Magnus Ngei Abe that has formally declared his intention to run for the office. Others have been muffling their intention especially after the Minister of Transportation, Hon. Rotimi Amaechi, who is the leader of the party in the state barred party members from talking about their aspirations. Abe’s insistence on voicing his aspiration however got him into trouble with Amaechi, who tried to neutralise his influence in the party by removing his known allies from the party structures. However, that has not affected the acceptability of Abe both within the party and among the people of Rivers State generally. If there is any aspirant that the new impetus of internal democracy that Comrade Oshiomhole is bringing into APC will favour in Rivers State, it is most likely to be Senator Abe, who was almost being knocked out of the race by the old order that allowed the leader of the party in the state to choose the party’s candidates arbitrarily. Abe hails from Ogoni area of Rivers State that has four local government areas. The voters there are generally known for delivering bloc votes in elections. Unfortunately, since the creation of Rivers State in 1967, no Ogoni person has had the privilege of holding any of the top political positions in the state. Like Dr. John Medee, the President of KAGOTE, an umbrella for Khana, Gokana, Tai and Eleme, people who make up the Ogoni bloc, the people of Ogoni will put partisan politics aside and vote for an Ogoni candidate in the next governorship election. 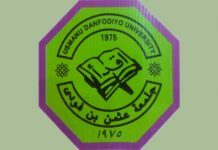 Medee is angry that for over 50 years now no Ogoni person has been governor, deputy governor, speaker of the house of assembly or even the chief judge of the state. Abe himself has worked hard to bring development to Ogoniland, using his offices. It is to his credit that the Federal Government under President Muhammadu Buhari committed to implementing the UNEP Report for the cleanup of Ogoni lands and waters devastated by oil pollution. Generally, the Ogoni people look towards the 2019 governorship election as a special project to deliver one of their own as governor of Rivers State. However, certain factors seem to play in favour of Abe apart from the sentimental factor that he hails from Ogoniland, a region of Rivers State that is yet to produce any major political office holder in the state. Since he shot into prominence in the politics of Rivers State in 1999 with his election into the House of Assembly, Abe has demonstrated positive consistency and loyalty in politics. Elected on the platform of the All Peoples Party (APP), Abe became the minority leader in the House of Assembly from 1999 to 2003. He effectively performed his role as the opposition leader in the state to the admiration of both his party and the people of the state to the extent that when it was time for elections again, his party APP nominated him to run for the Senate. 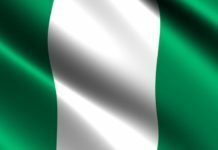 Unfortunately, by 2003, the ruling party at the centre, the PDP had reduced the country to a virtual one-party state with full control over the electoral system. So Abe lost. It was of no use to continue to stay in APP, which had then metamorphosed into All Nigeria Peoples Party (ANPP), since the PDP, using state power, had neutralised the opposition. 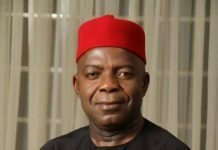 So he defected to the PDP, where second term governor, Peter Odili immediately picked him up and appointed him the Commissioner for Information, a position in which he acquitted himself so well for four years. When the governorship crisis in Rivers State was resolved in favour of Rotimi Amaechi in 2007, Amaechi quickly reached out to Abe to head his cabinet office as the Secretary to the State Government. By 2011, when the elections were due again, Abe stepped forward to run for senate, representing Rivers South East zone. It was while at the senate that the pre-2015 crisis hit the PDP. So he and members of the new PDP were forced out of the party to form the APC in Rivers State. Before then, with the completion of Amaechi’s two terms in office, Abe stood out as his most likely successor. And that was the situation until the bitter rivalry between Amaechi and former President Goodluck Jonathan got to its peak where sectional sentiments were played up to win sympathies. Political opponents of Amaechi, especially from the riverine Ijaw part of Rivers State tried to play up the riverine/upland dichotomy sentiments by accusing him of extending his fight with President Jonathan, an Ijaw to Rivers Ijaw people if he did not nominate the APC candidate from the riverine part. It would appear that Amaechi fell for this because he subsequently without allowing for a primary nominated Dakuku Peterside, an Ijaw from Opobo whose local government however fell within the zone of Abe. Though the nomination of Peterside did not sink well with him, Abe accepted to return to the Senate. Both Peterside and Abe lost in the April 2015 elections. But Abe won the rerun after the courts nullified the April 2015 election. Over the years, Abe had built structures and friendships both within and outside the party across Rivers State which he has leveraged on to win a large support base. To win the nomination of APC in the state, Abe may have to contend with other heavyweights. One of them is Chief Dumo Lulu-Briggs, the 54-year-old billionaire son of Chief Olu Lulu-Briggs, a Kalabari chief and major player in the upstream petroleum sector. He moved from the PDP last year to APC to pursue his governorship aspirations after it became clear that Wike would be returned as the candidate of the PDP in next year’s election. Another billionaire businessman, Tonye Cole, 51 also a Kalabari is being touted as one of the frontline aspirants in APC. Son of Dr. Patrick Dele Cole, a former Nigerian ambassador to Brazil and Managing Director of the Daily Times PLC, Tonye is said to be very close to Amaechi, who had indeed initially nominated him in 2011 for appointment as minister to Jonathan before withdrawing the nomination for Wike. Prince Tonye Princewill, 49 is a veteran of the governorship contest, having first contested the governorship election in 2007 on the platform of the defunct Action Congress of Nigeria. He was also the Labour Party candidate in 2015. He had moved to the PDP and finally to the APC. His father is Professor T.J.T Princewill, the Amayanabo of Kalabari kingdom and wields tremendous following, especially among the younger generations. The recent zoning of the state chairmanship of the party to Kalabari zone may work against the aspirants of the Big Kalabari Three: Lulu-Briggs, Princewill and Cole. Dr. Adolphus Dakuku Peterside, 48, the Director General of NIMASA, was the party’s candidate in the last election. He hails from Opobo, a famous but minority tribe in Rivers State. He was the last minute gamble that Amaechi and APC presented at the 2015 election. He lost despite a flamboyant and extensive electioneering. His major drawback is his minority base and the fact that the APC is not firmly rooted in his home local government area, Opobo/Nkoro. It is very likely that the National Working Committee will intervene in the situation of the party in Rivers State so as to ensure that party optimises its fortunes in the 2019 governorship and legislative elections. 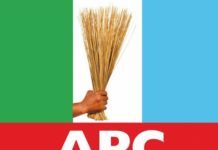 Until then, Abe is riding the waves as the only aspirant known to have openly declared his intention to fly the APC flag in next year’s governorship election in Rivers State.